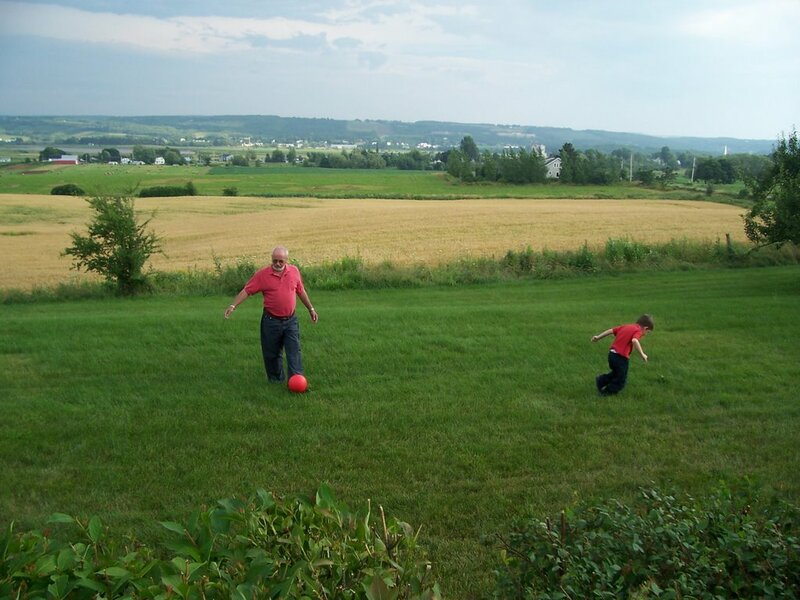 ffmyheels: Grampie the soccer star. Phyllis Anne dropped Charlotte & Matthew off to play while she did some errands. She made it back by noon and I had lunch ready for us. 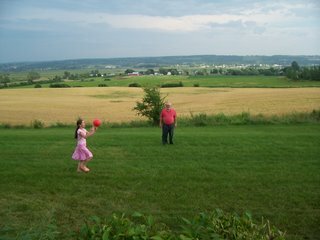 We had a wonderful visit and said good bye as they are off to Australia for a month. Grammie called and wanted to know if we could meet her at the grocery store so Hunter and Tyler could help Grammie with her shopping. So they did shopping and I went to the scrapbook store and Blockbuster for some movies. 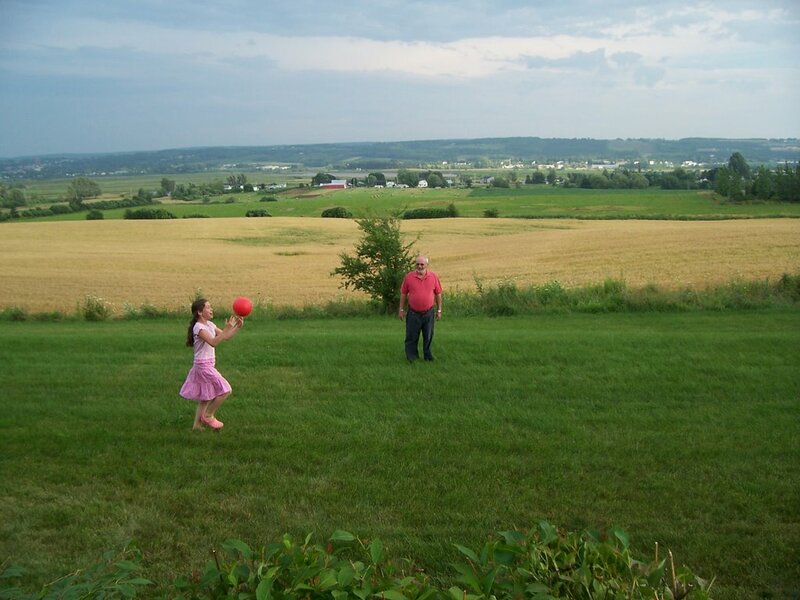 We had BBQ chicken for supper and Grampie played soccer with the poppets while we were waiting for things to cook. 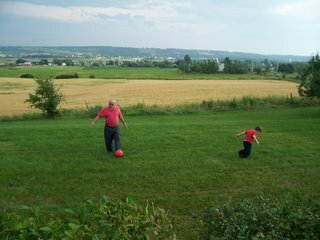 Tyler wanted to know where Grampie learned all those soccer tricks.